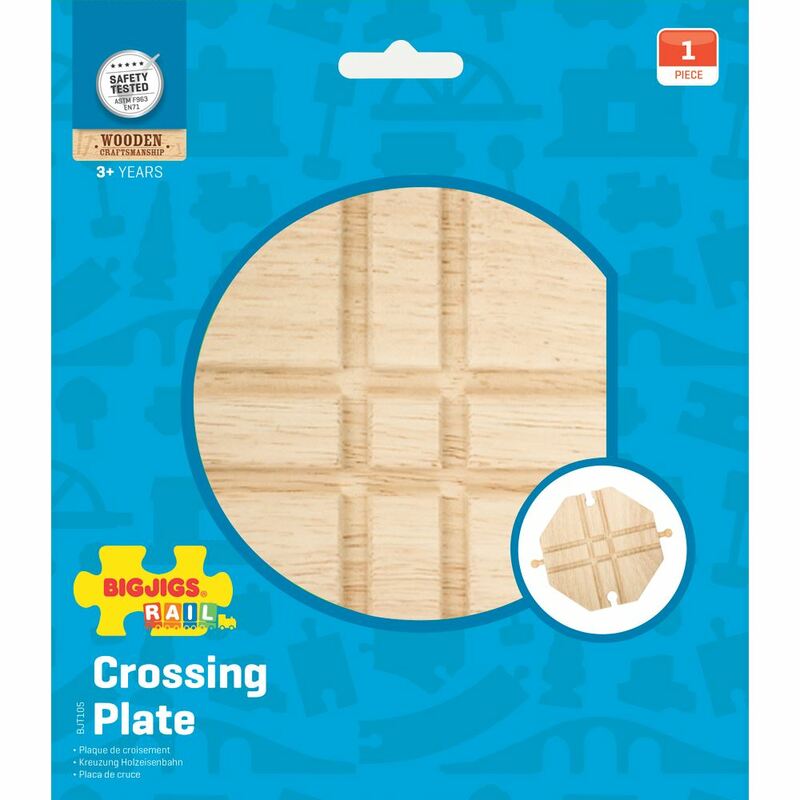 Expand your Bigjigs Rail wooden network with this four-way rail crossing plate. Includes: 1 four-way crossing plate. Age 3+ years. Compatible with most other wooden railway brands. Distributed in New Zealand by Holdson.